The Amerisa Suites, offering 3 star accommodation, is located on a hill with panoramic views of the Aegean Sea, on the east side of Fira and within walking distance of the city center. 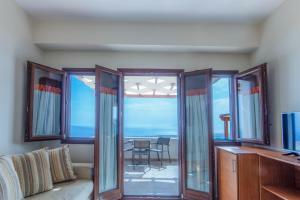 Features a private balcony with views of the Aegean Sea. 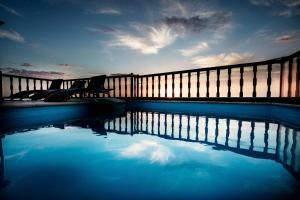 It is equipped with free Wi-Fi, satellite TV and air conditioning. It has a furnished balcony. 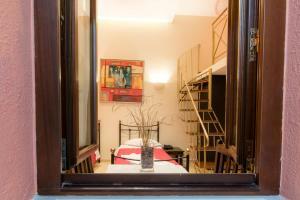 It is equipped with free Wi-Fi, satellite TV and air conditioning. Spacious suite with a balcony overlooking the pool and the Aegean Sea. Includes a seating area. Only extra beds can be added in this room type. 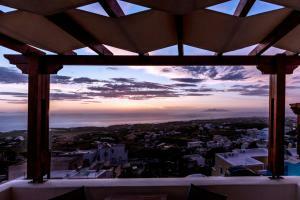 Room with a private balcony with sea views, free Wi-Fi, satellite TV and air conditioning. Room with free Wi-Fi, satellite TV and air conditioning. This type of room is interior. It does not offer views.